The aim of the pilot project was to make the T3000 controllable via Zigbee wireless technology in order to build a dashboard and visualisation dashboard using OpenHab 2 and Grafana. 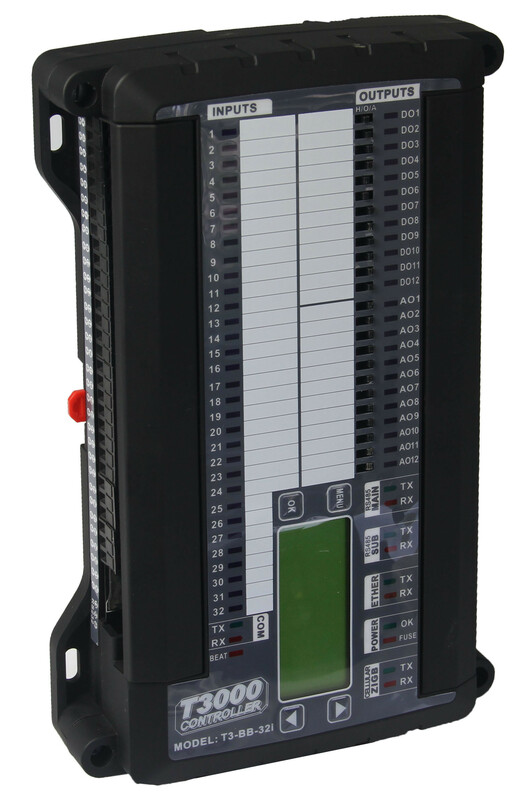 T3000 controller is a building automation board, which is perfectly sufficient for automating an entire building. Our aim was to read the input values and control the output relays of T3000 wirelessly using ZigBee. Here, two Zigbee modules are configured in such a way that one is a coordinator and other is an end device or router. Any ZigBee can be configured as the coordinator. 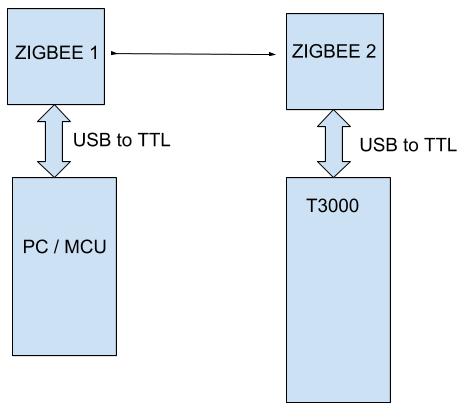 The ZigBee 2 is connected on the inbuilt USB port of T3000 via USB to TTL converter. A program executed inside the T3000 for communicating with this ZigBee. Any predefined commands will be identified and response will be given over the ZigBee. Here the ZigBee modules are configured in AT command mode. The ZigBee 1 is connected to the Intel NUC. The commands to control the T3000 are sent from this ZigBee. For testing purposes, this can be achieved using connecting ZigBee 1 to a PC via USB to TTL converter and open up a serial terminal and type the commands. The baud rate is 9600 with no line ending. To toggle the relay output. To read the input voltage. There are 12 relays in T3000. The command to switch on/off the relay consists of 2 parts. The first part is the relay number and the second part is on/off. So if I want to turn off the 4th relay, just send the command 40 via ZigBee. To turn on 12th relay send 121 etc. The response on successful completion is an “ok”. There are 32 inputs in T3000. The input voltage values from each input port can be accessed through the commands 201 to 232, where 201 reads the first input port of T3000 and 232 reads the 32nd input voltage.